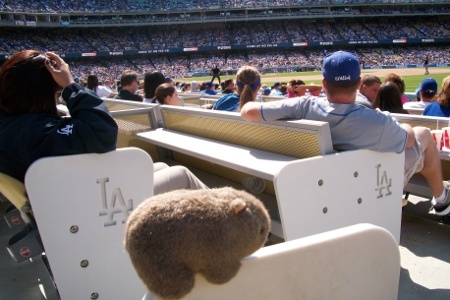 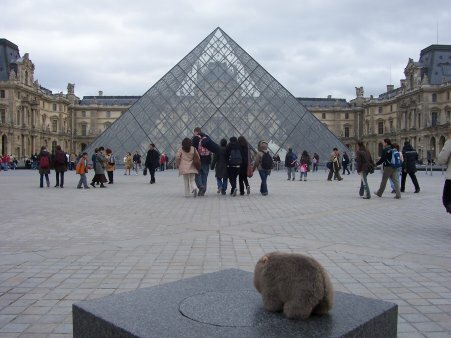 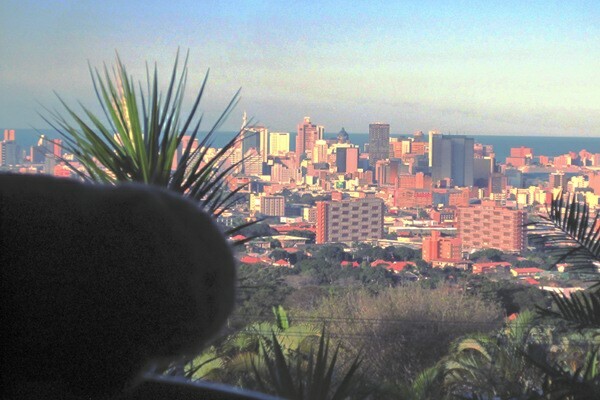 Follow Womby around the world. 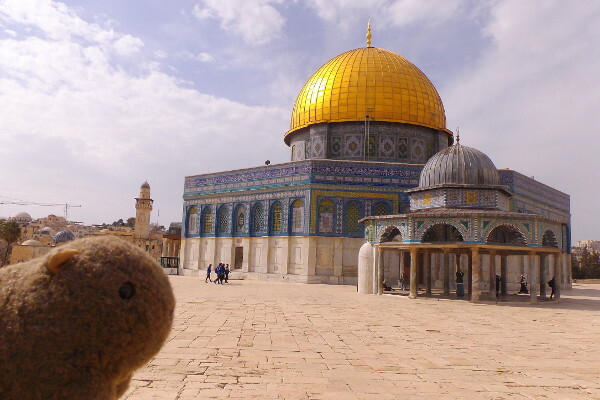 And, of course, Womby at the Dome of the Rock. 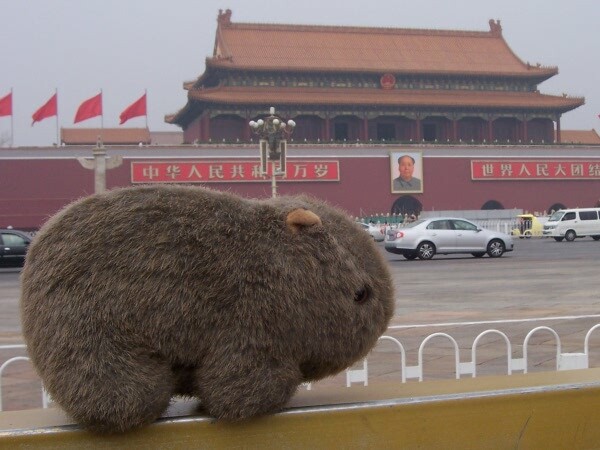 Womby at the Wailing, or Western — I never know which is the politically correct version — Wall. 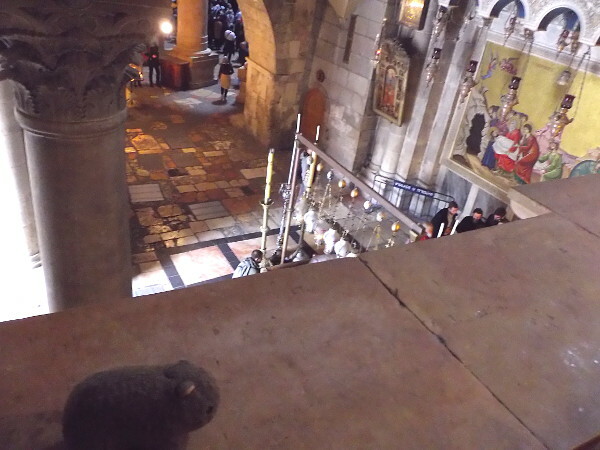 This picture shows Womby at the Church of the Holy Sepulchre. 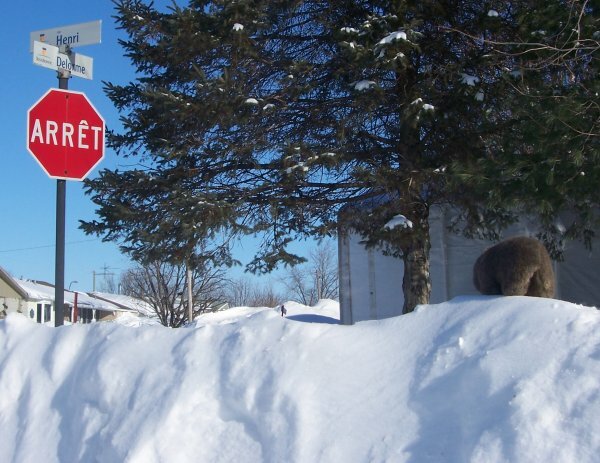 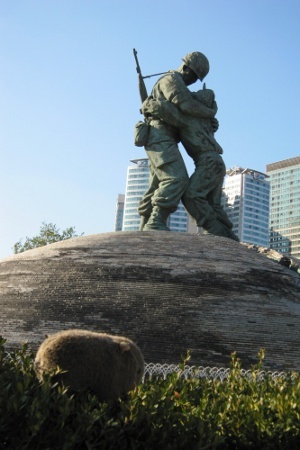 That place is really not very well designed for photos of wombats. 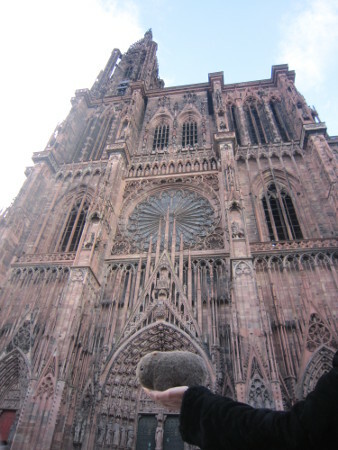 Jesus was crucified behind where I’m standing taking the picture. 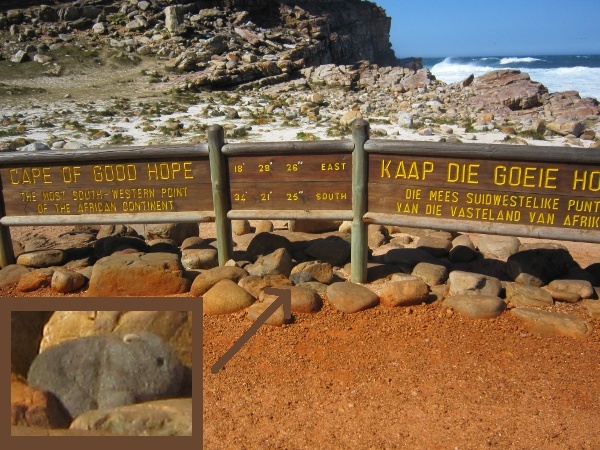 The partially obscured people in the center of the picture with the lamps are appreciating the “Anointing Stone”, where Joseph of Arimathea prepared Jesus’s body for burial. 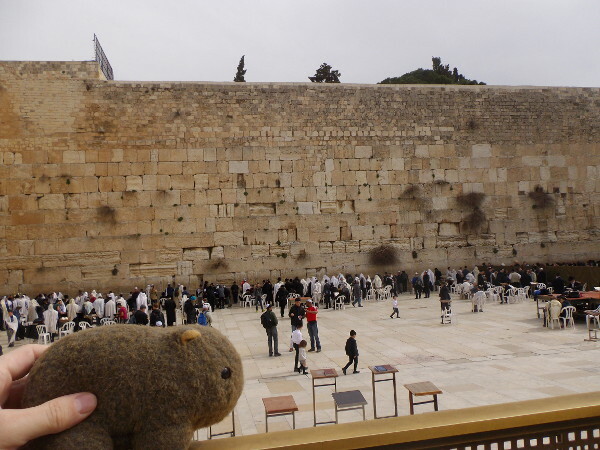 And at the top of the photo you can see people waiting in line to see Jesus’s long-empty tomb. 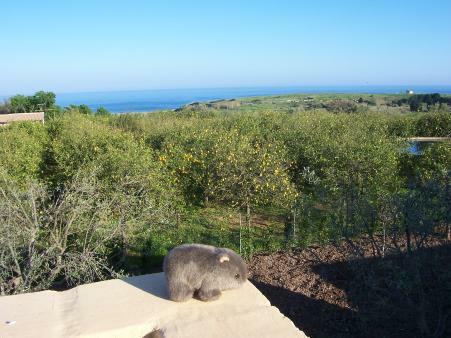 Womby looking out over the Mediterranean Sea from Jaffa. 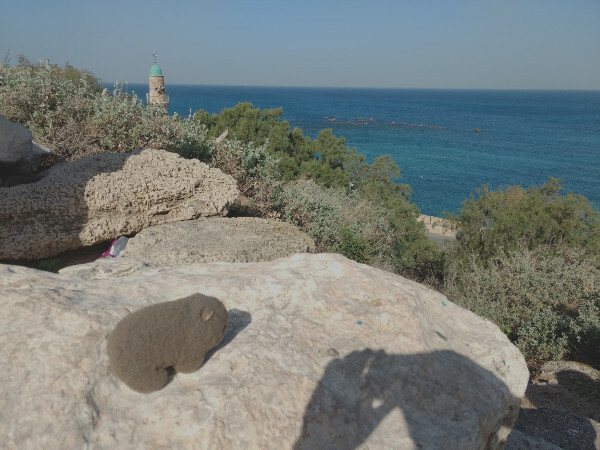 The left shows the tower of the Al Bahr Mosque peeking out, and the rocks on the right are where Andromeda was chained when Perseus saved her (go to the 5th paragraph or search Jaffa in this link). This is Womby in Zürich, CH. 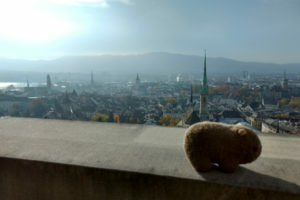 Taken from near the University of Zurch. Womby at the Teide Observatory in Tenerife, Canary Islands, Spain. 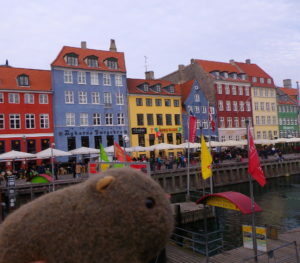 Womby at Nyhavn in Copenhagen, Denmark. 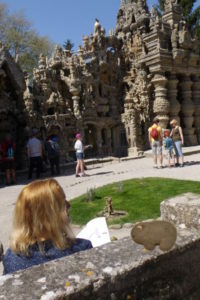 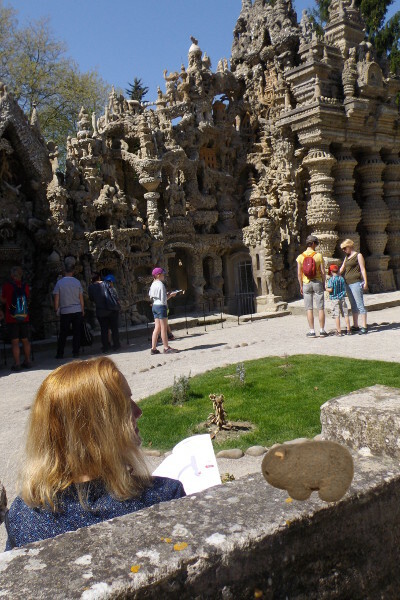 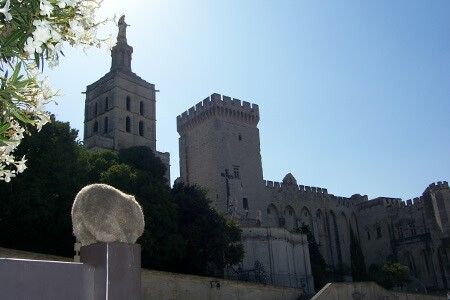 Here’s a post-processed Womby at the Palais Idéal du Facteur Cheval. 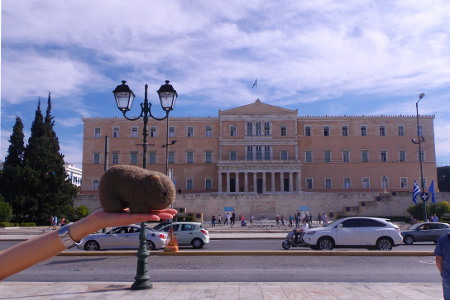 At the Greek parliament in Athens. 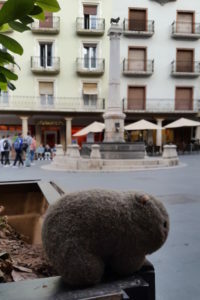 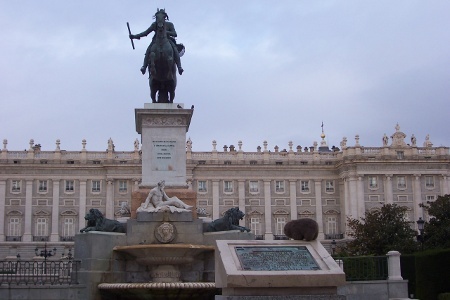 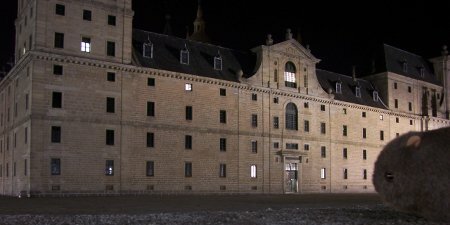 Womby at the Plaza del Torico in Teruel, Spain. 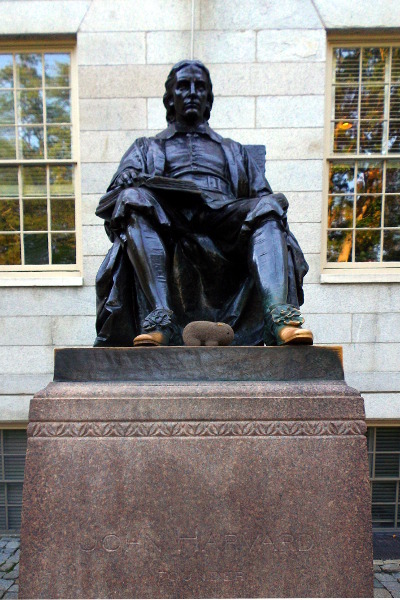 Here’s Womby with John Harvard… at Harvard. 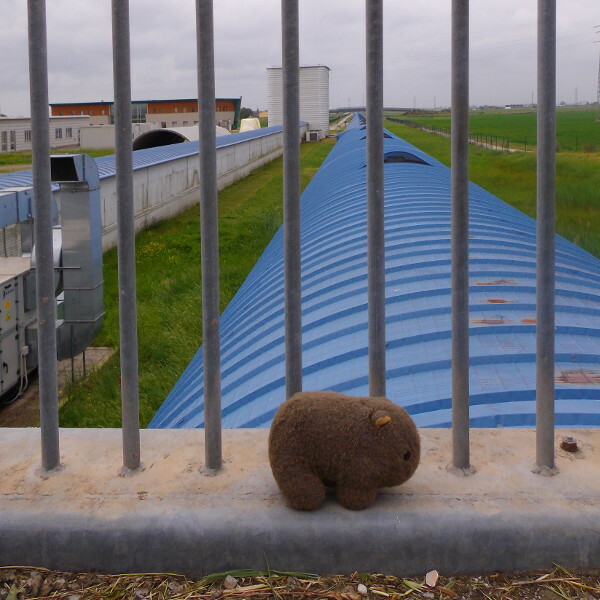 Womby at the European Gravitational Observatory, outside of Pisa. 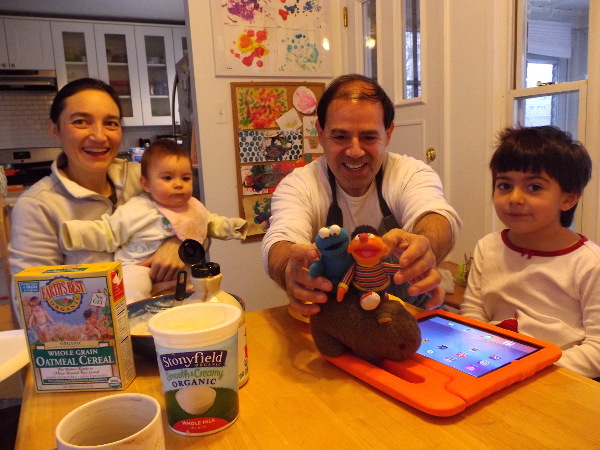 He may not remember him, because he was on an Aricebo review a day or two after Fernando arrived, but this is Alberto. 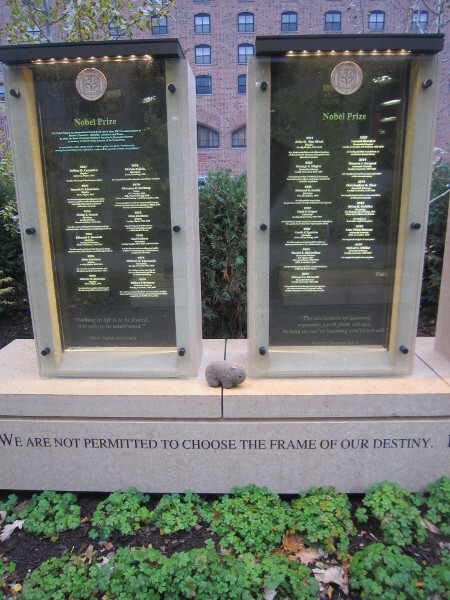 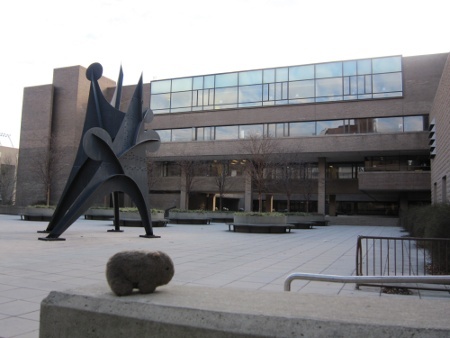 Womby on the spot at the University of Chicago where Enrico Fermi and his lab succeeded in making the first sustained nuclear reaction. 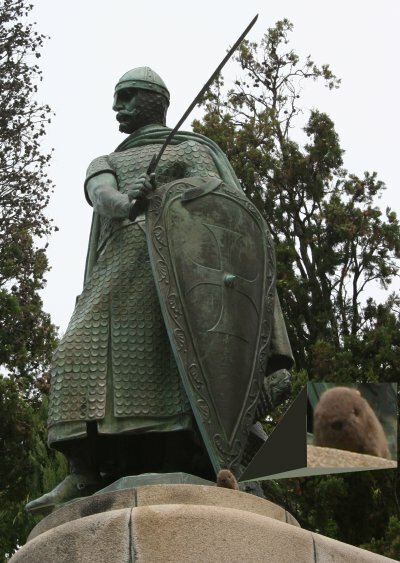 Womby getting ready for November 7th. Not to be confused with Set, this is Womby in the port town of Sète. 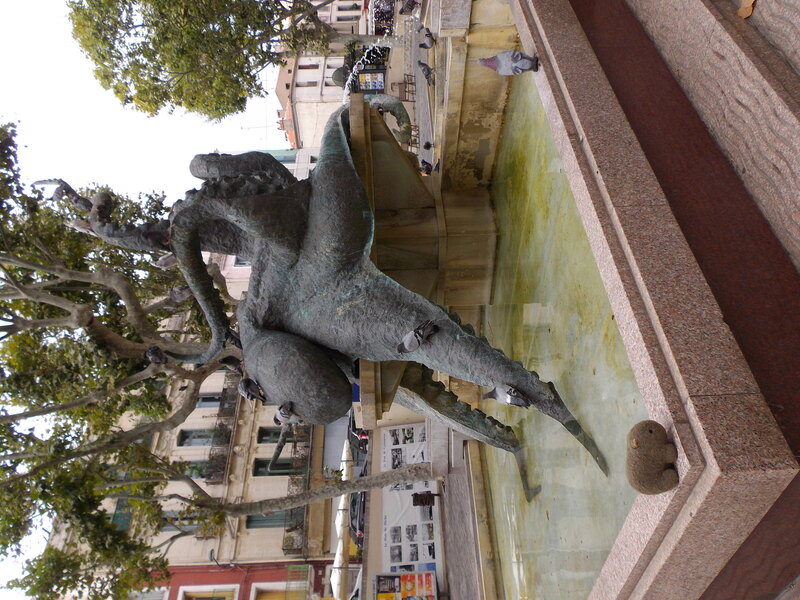 They seem to like sea creatures here. 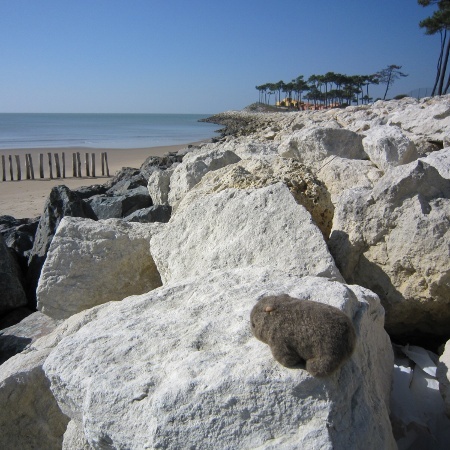 Not to be confused with Marseille, here is Womby on the beach in Marseillan. That’s Pete in the distance. 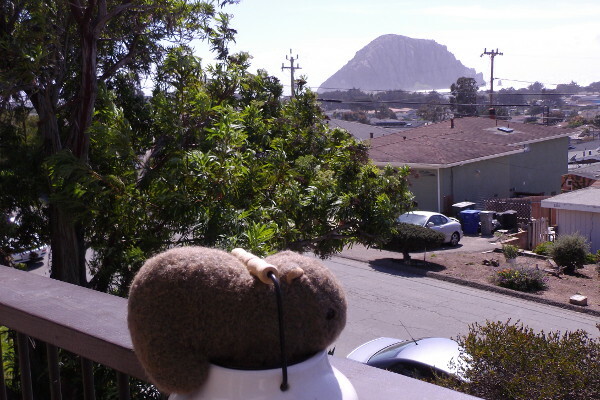 Womby at my friend Ian’s house in Morro Bay, overlooking the Morro Rock. 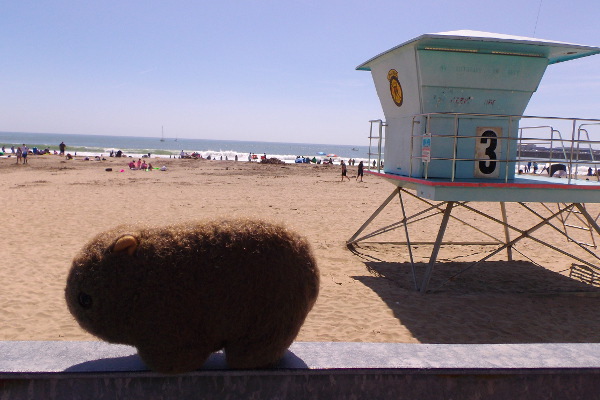 Womby on the beach in Santa Cruz, CA, during a reunion with some of my P’ton roommates. Womby on the hill overlooking Berkeley and the rest of the Bay Area. You can see the UC Berkeley Campanile towards the left of the picture. 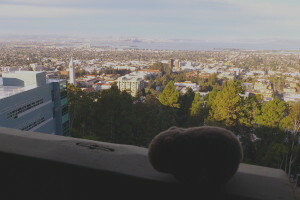 You can’t really make it out in the picture, but the Golden Gate Bridge is in the upper-right of the picture. 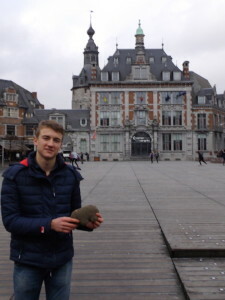 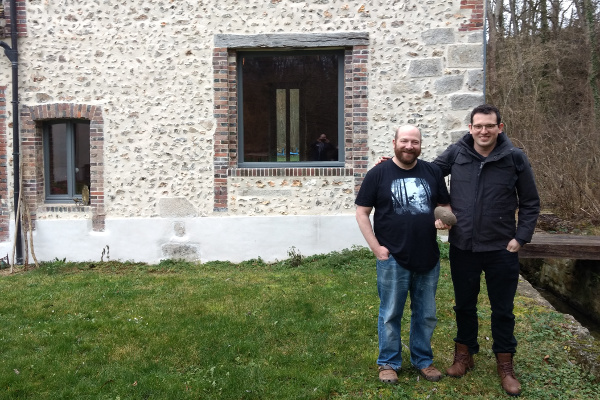 Womby with Marius in Namur, Belgium. Womby in the guest bedroom in Marius’s house in Courrière, Belgium. Womby in Cardiff, watching France get absolutely demolished by New Zealand in the quarter-finals of the 2015 Rugby World Cup. 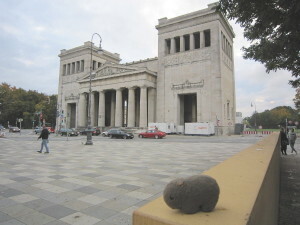 Womby just outside of Konigsplatz, in Munich. 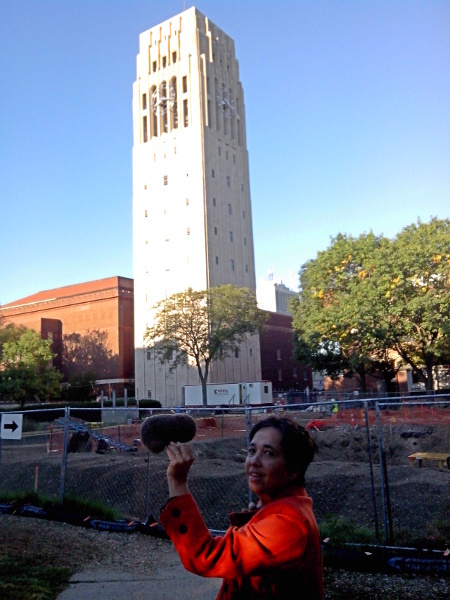 Gabriela with Womby outside the University of Michigan tower in Ann Arbor, where she has her office. 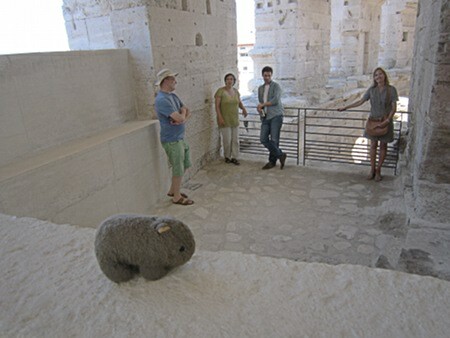 At the Arles Arena with Pete, Fern, Julie and Graby. 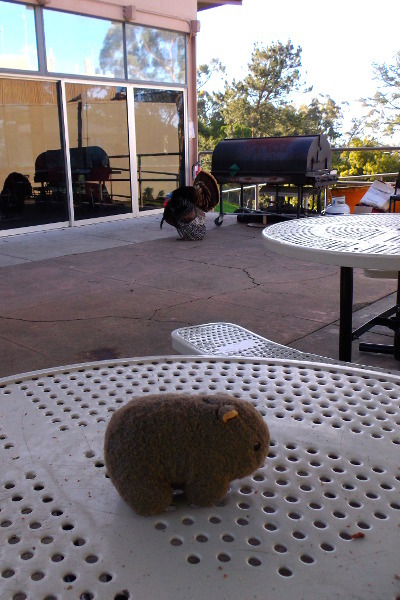 Posted on 2015-08-02 2015-09-15 Categories The WombatLeave a comment on Kathy! 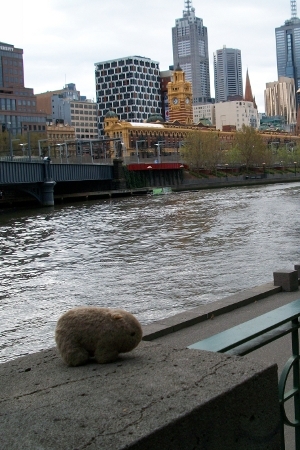 Posted on 2015-08-02 2015-09-15 Categories The WombatLeave a comment on Victoria! 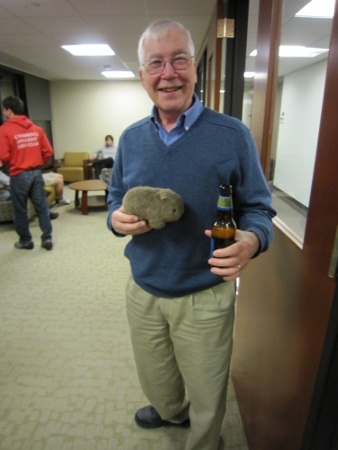 I haven’t seen Ed in something like 20 years, but he came over for the Uli-being-old celebration! 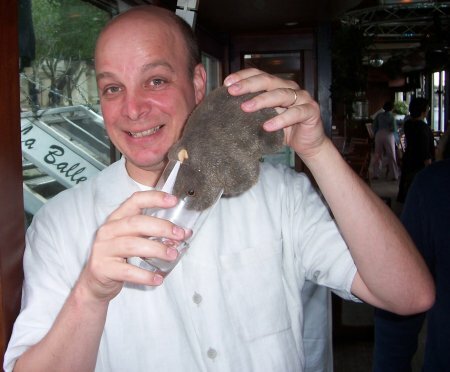 Posted on 2015-08-02 2015-09-15 Categories The WombatLeave a comment on Ed! 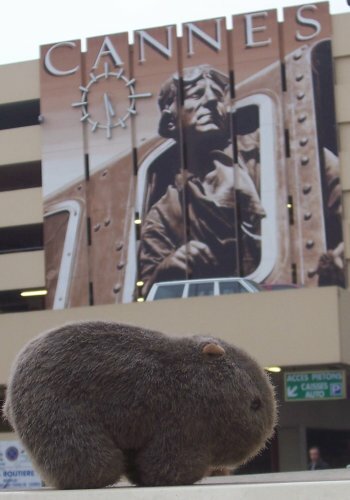 Posted on 2015-08-02 2015-09-15 Categories The WombatLeave a comment on Gordon & Paul! 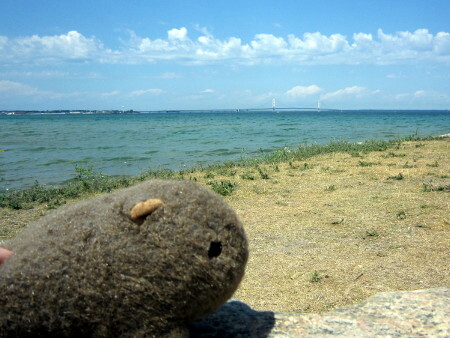 Womby in Mackinaw, MI (right at the “tip” of the Lower Peninsula of Michigan). 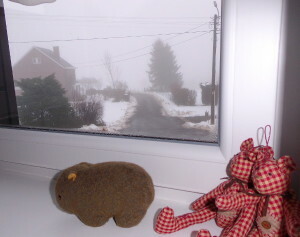 You can barely see the Mackinaw Bridge, which goes from the lower to the upper peninsula, in the background. 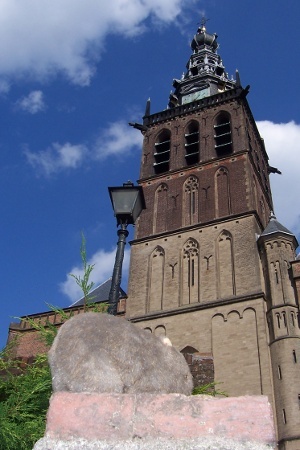 In the north of the Netherlands. 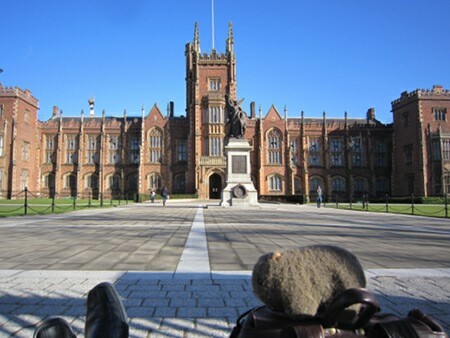 Womby at the impressive entrance to Queen’s University, Belfast. 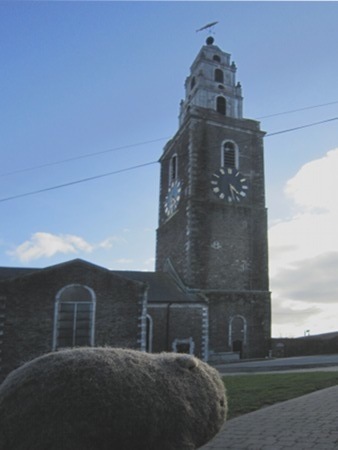 Womby at Shandon, in Cork, Ireland. 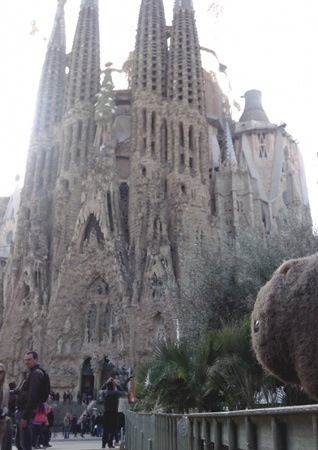 Womby at Gaudi’s Sagrada Familia church. 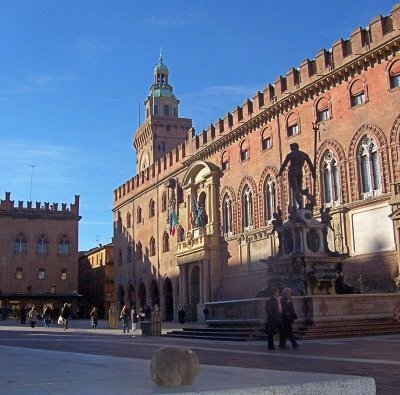 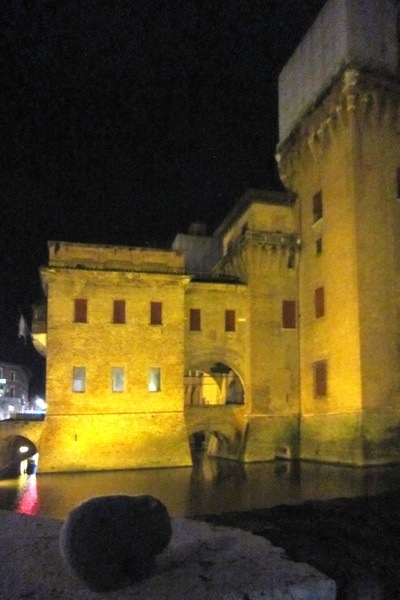 Womby next to the Este palace in Ferrara, Northern Italy (where I was for a Planck conference). 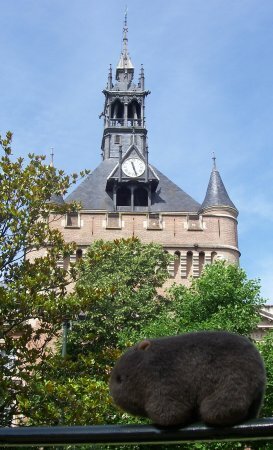 This was a short, personal trip to Bruges, Belgium. 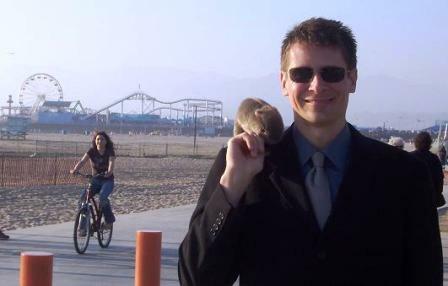 Recognize the hand holding Womby? 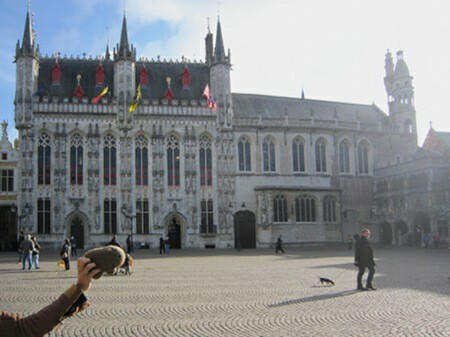 She called the Bruges a dollhouse town. 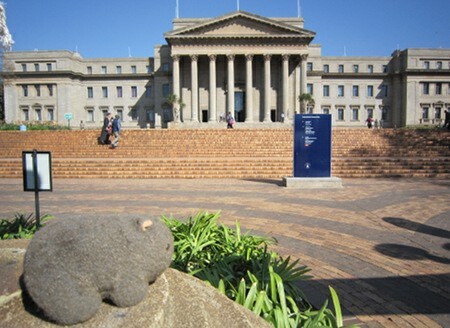 I gave a talk at Witswatersrand University in Johannesburg. 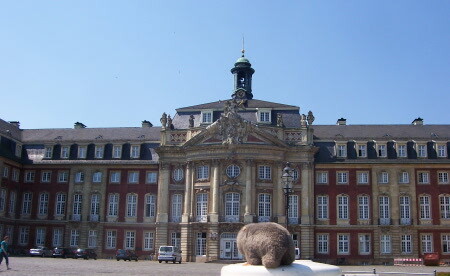 Here’s Womby outside the old main building there. 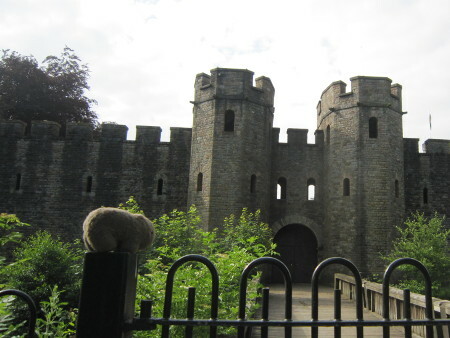 Outside of Cardiff Castle, in Wales. 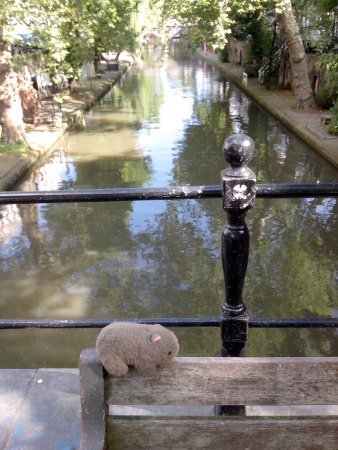 Overlooking a canal in Utrecht, the Netherlands. 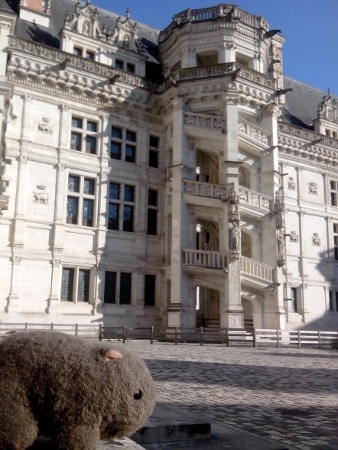 At the Chateau de Blois, in the Loire valley. 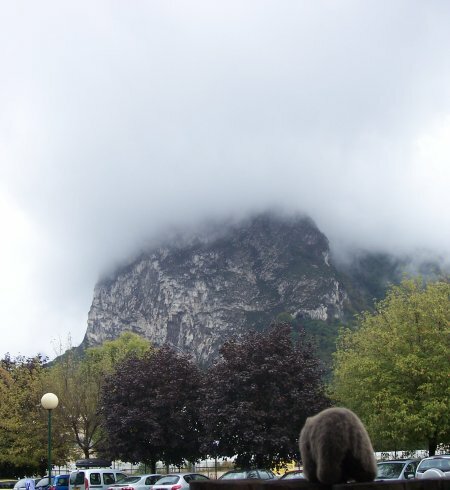 At the SISSA institute in Trieste, Italy. 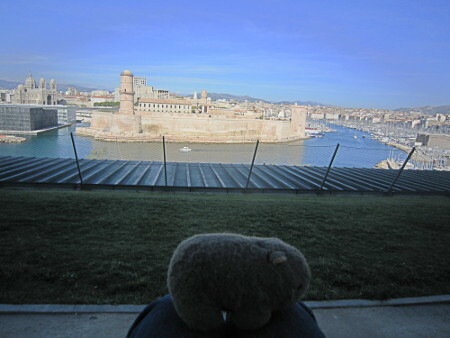 Looking into the port of Marseille. 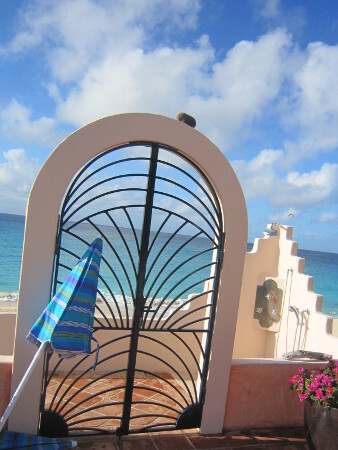 On the island of Saint-Martin. 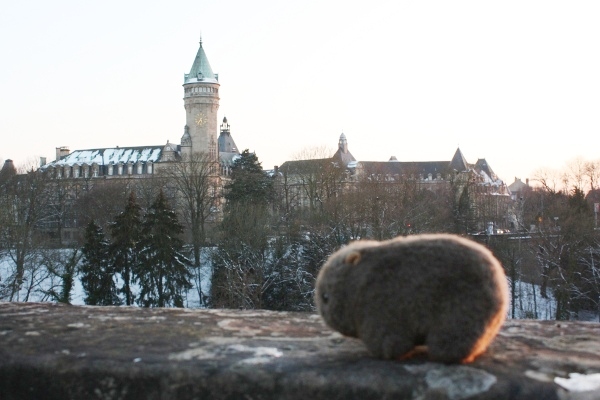 At the ISDC outside of Geneva, Switzerland. 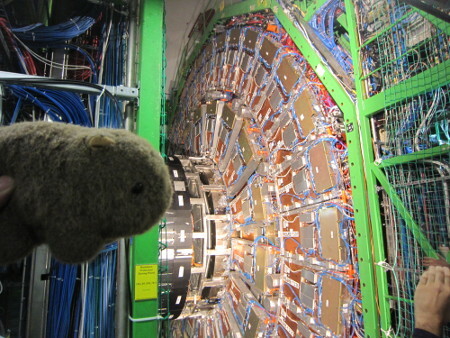 Womby looking at the opened CMS detectors at CERN. 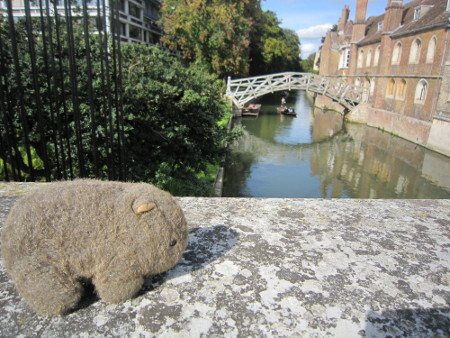 The Mathematical Bridge at Cambridge. 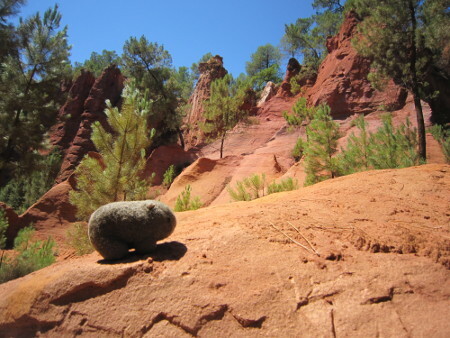 In the Ochre mines in Roussilon, France. 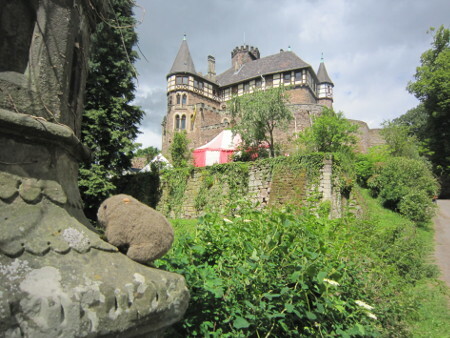 At the Schloss Berlepsch, where I stumbled onto a full-on reenactment of a medival trial. 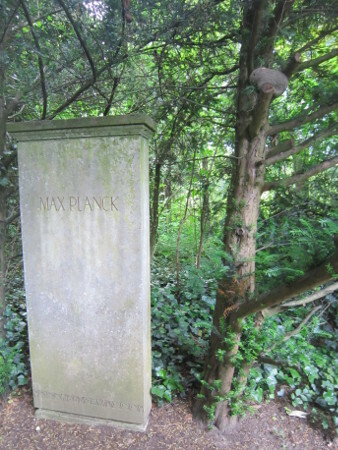 At Max Planck’s grave in Gottingen, Germany. 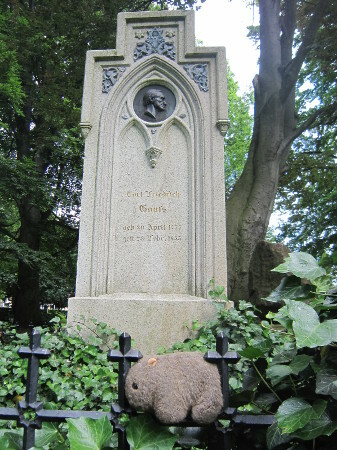 At Gauss’s grave in Gottingen, Germany. 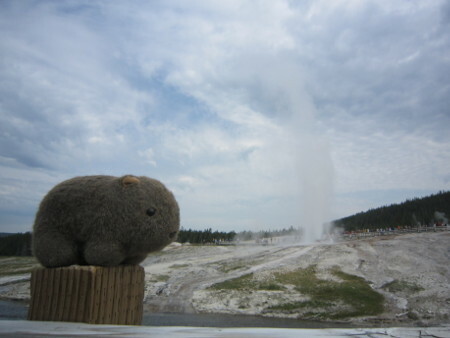 At Old Faithful, in Yellowstone Park. 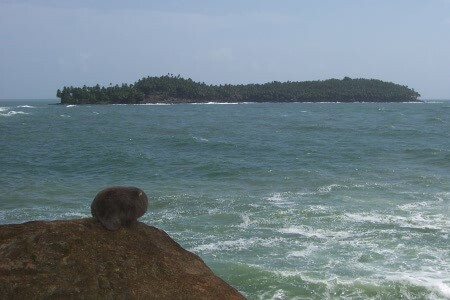 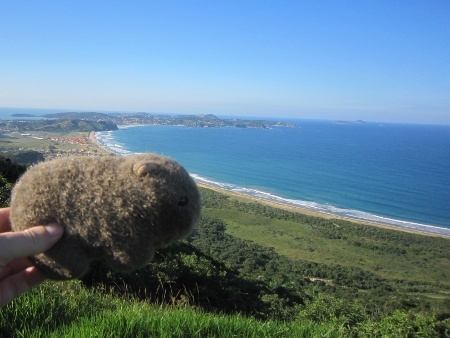 Womby at the top of a hill near Buzios, Brazil (about three hours drive from Rio). 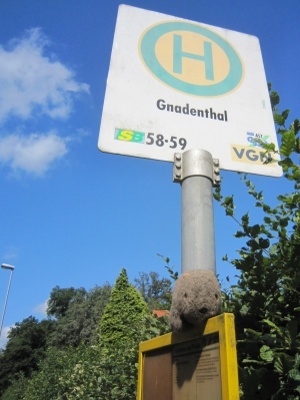 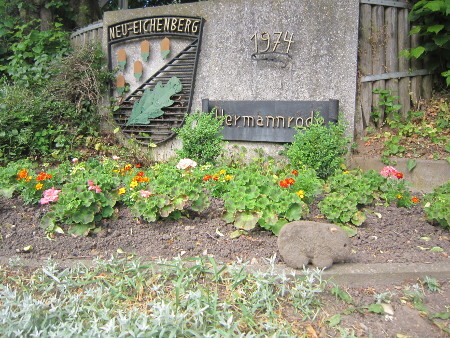 Womby in Gnadenthal, Germany (That’s near Kleve, as in “Anne of Cleves”). 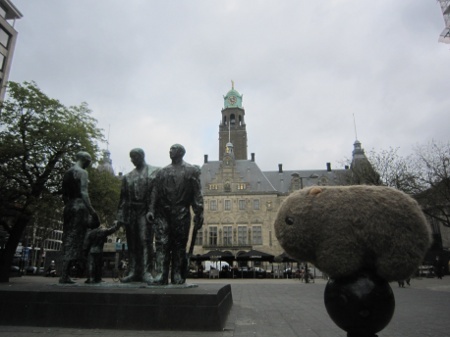 Womby in Rotterdam; waiting for the Thalys. 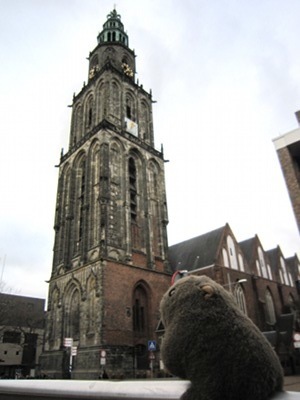 Womby in Leiden, on the way home from a meeting. 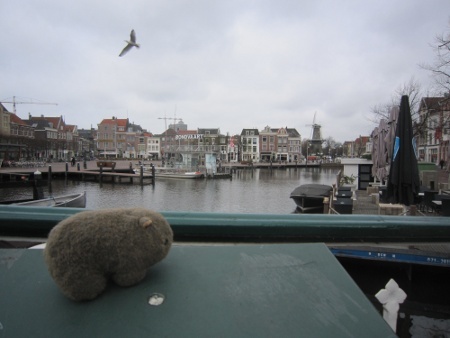 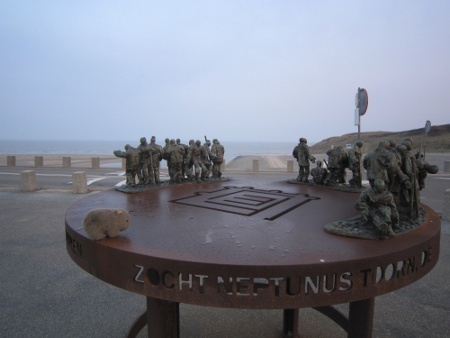 Womby in the beach town of Katwijk, at the mouth of the Rhine (Rijn?). 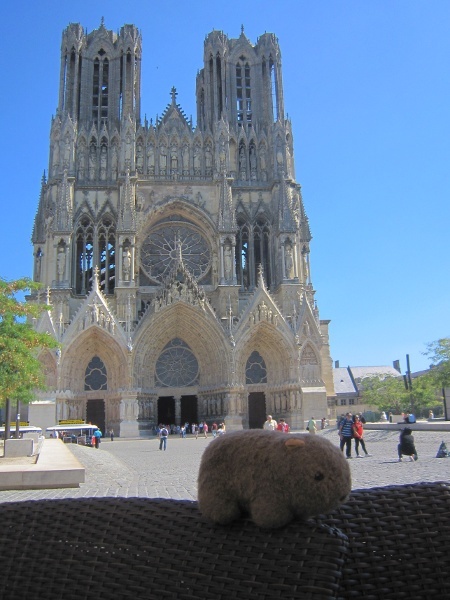 Womby outside Reims Cathedral, where the Kings of France were crowned. 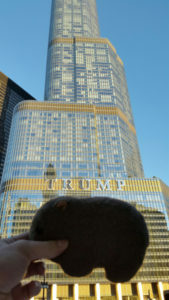 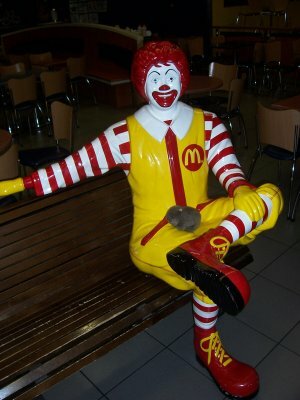 Also where you can get the shittiest Ham sandwich you’ve ever tasted for only about 10 dollars. 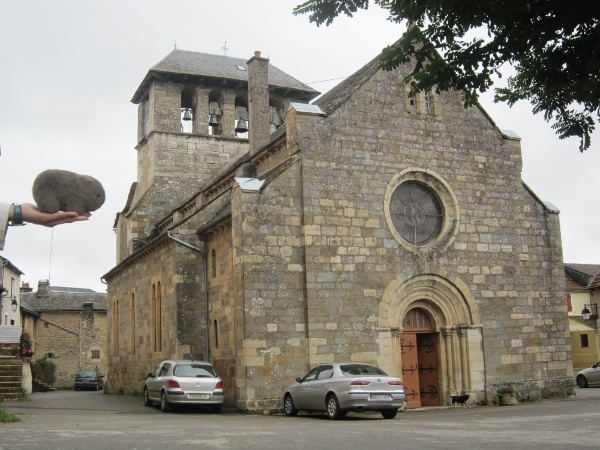 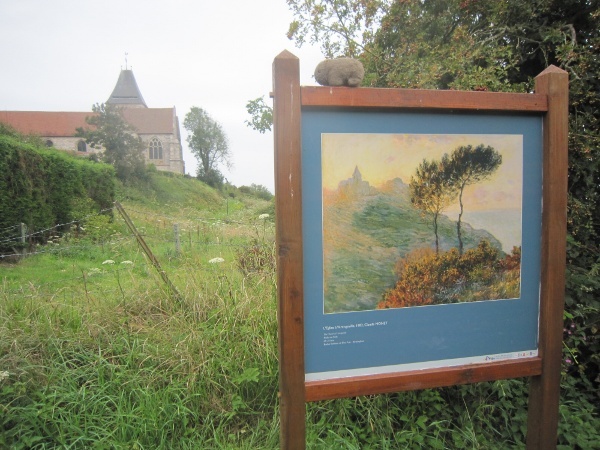 Womby looking at the Church from the same location Monet used when painting “L’Eglise à Varengeville”, while visiting Spencer, Tracey, Faith and Eve in Haute Normandy. 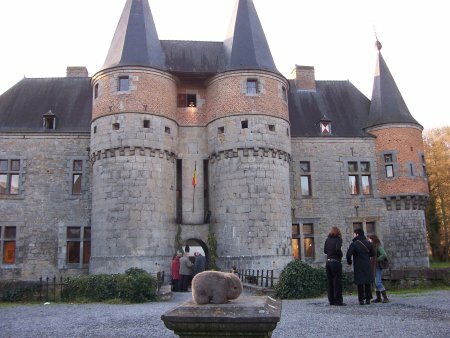 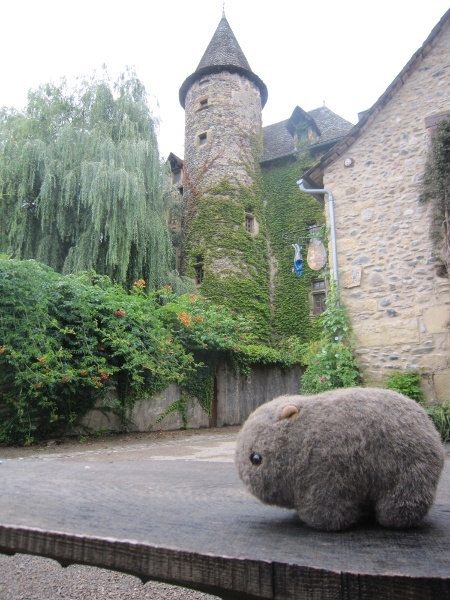 Womby in the land of my ancestors, Cruejouls, France. 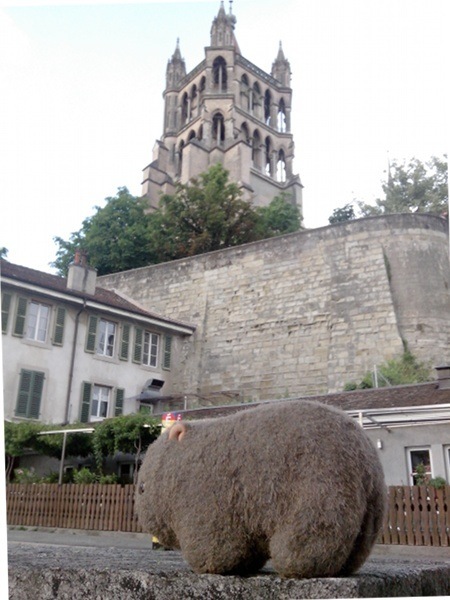 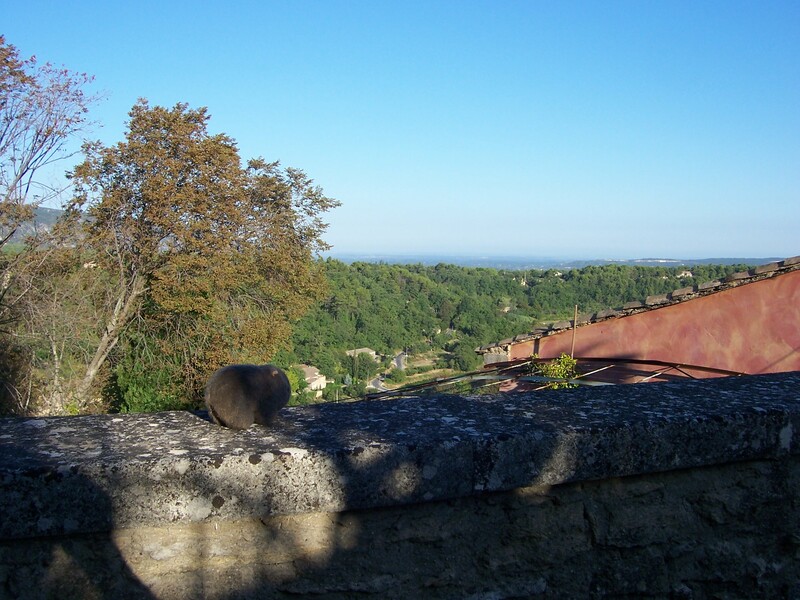 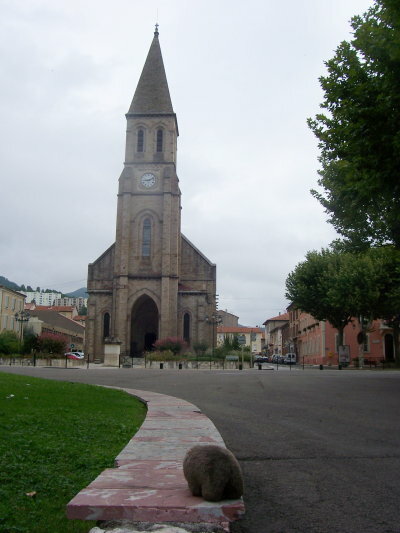 Womby in the picturesque village of St. Eulalie d’Olt. 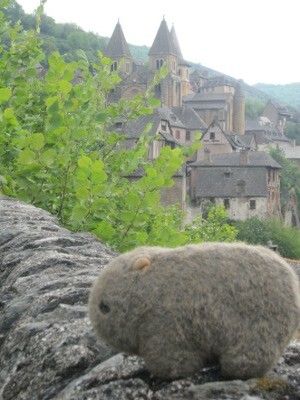 Womby in the picturesque village of Conques. Womby at Roskilde, near Copenhagen, Denmark. 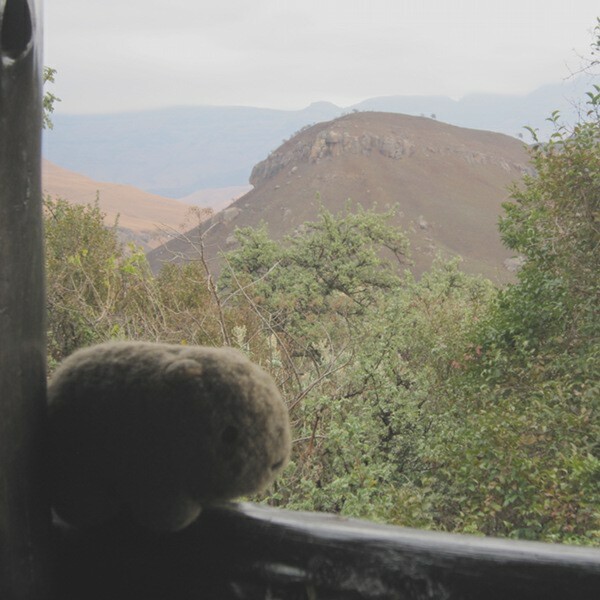 Womby at the Cape of Good Hope. 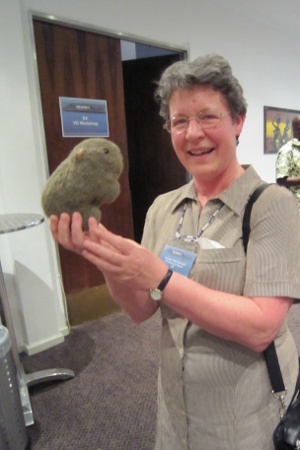 Womby with Jocelyn Bell-Burnell, the discoverer of pulsars. 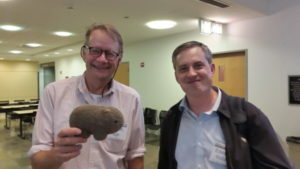 Womby with Fernando’s thesis advisor. 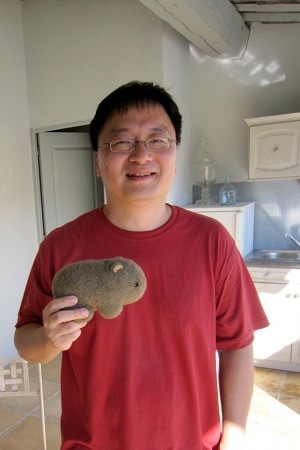 Joe also won the 1993 Nobel prize in physics. 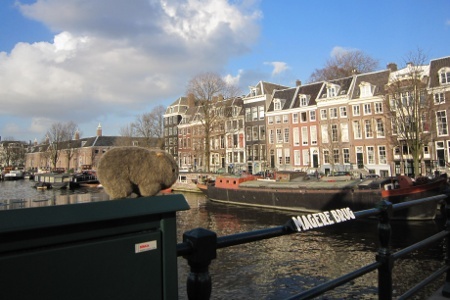 Womby on the Magere Bridge in Amsterdam. 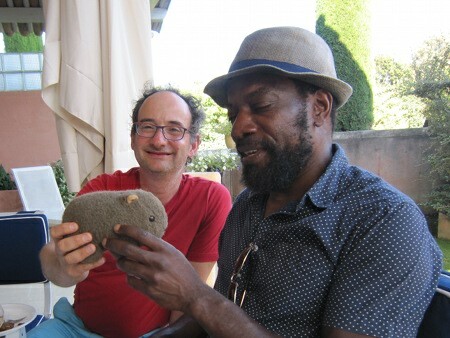 Womby with David in NYC! 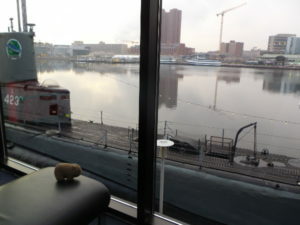 Posted on 2011-01-06 2015-09-20 Categories The WombatLeave a comment on David! 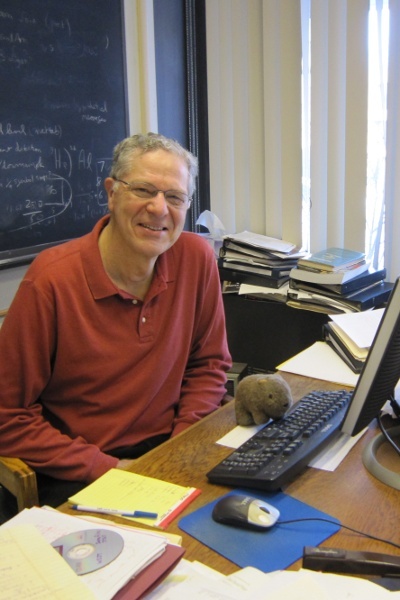 Womby at the Princeton Physics Department. 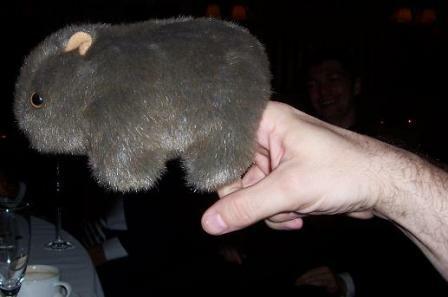 Posted on 2010-12-17 2015-09-15 Categories The WombatLeave a comment on Ed! 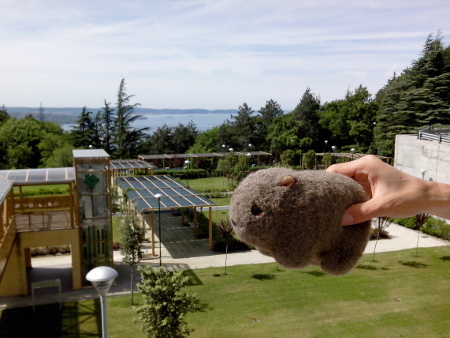 Womby at our lab’s bi-annual retreat in La Palmyre, France. 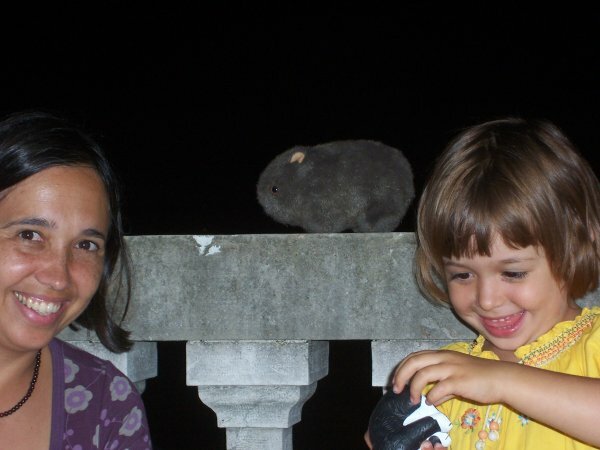 Womby (and Mafalda) with Uli’s sisters, Anke und Uta. 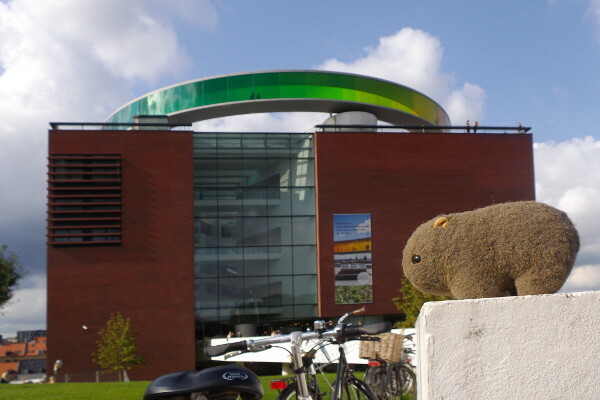 Posted on 2010-07-24 2015-09-15 Categories The WombatLeave a comment on Anke & Uta! 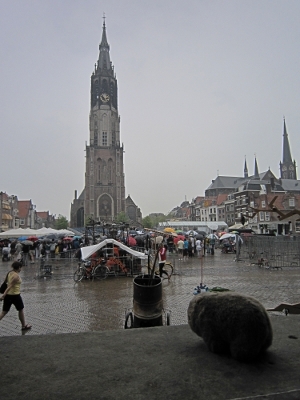 Womby in Delft, a nice town in Holland, where Ubli and Maarten are spending a year. 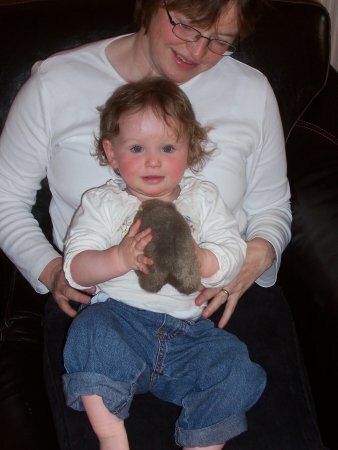 Womby with the Rutgers and Potters children. 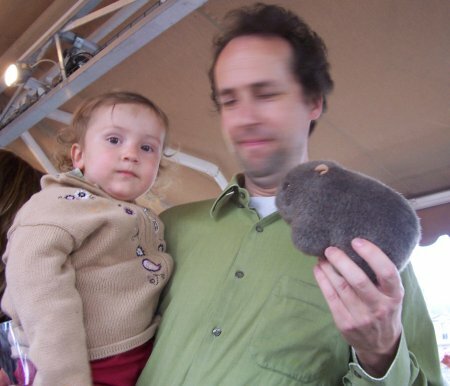 Posted on 2010-05-15 2015-09-15 Categories The WombatLeave a comment on The Kids! 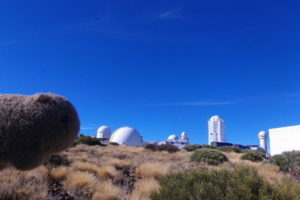 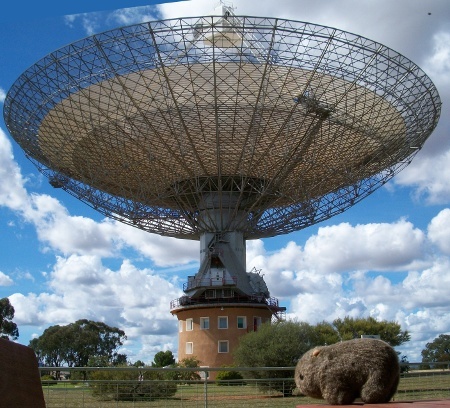 At Fernando’s favorite telescope down under. 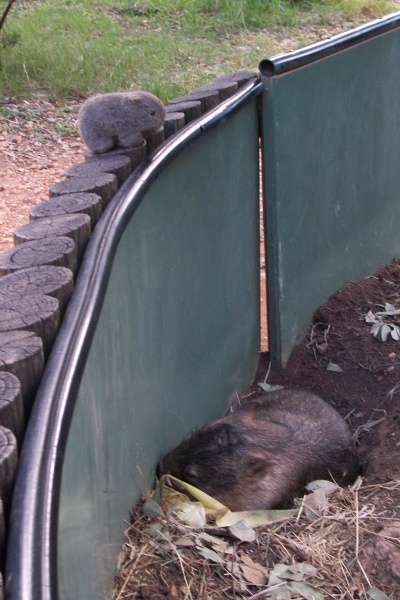 Womby at the Western Plains Zoo in Australia. 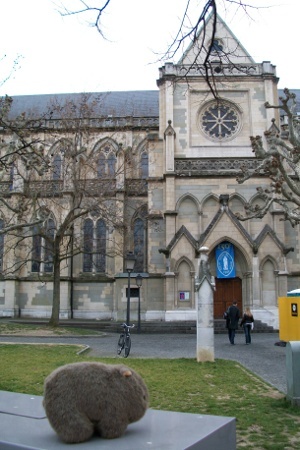 Womby outside the “Our Lady of Geneva” Church (which also happens to be right outside the Geneva train station). 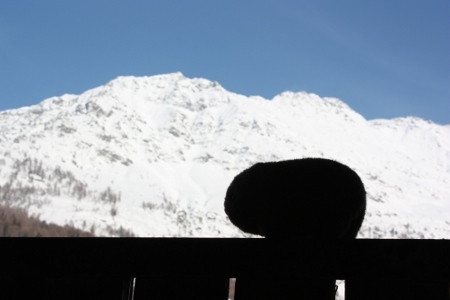 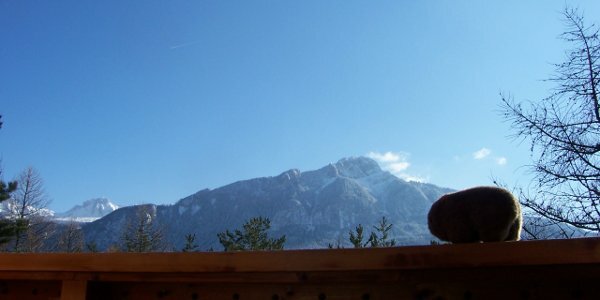 At the Moriond Cosmology Meeting in the Alps. 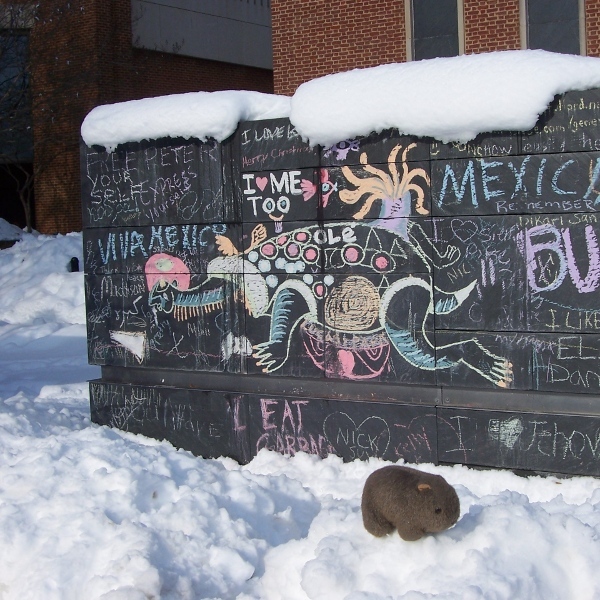 In Charlottesville, Virginia, during the “Blizzard of the Century”, at the Free Speech Wall. 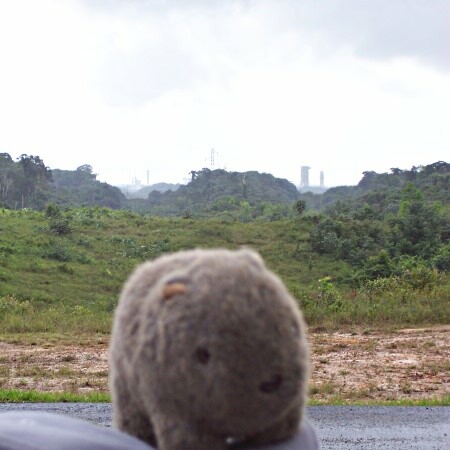 Womby at the Guiana Space Center. Womby awaiting the Herschel/Planck launch in an Ariane 5 rocket. 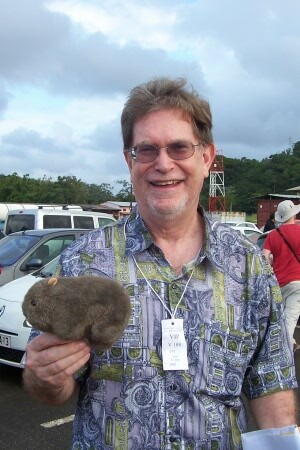 In the home of Cayenne Pepper with 2006 Physics Nobel Prize winner George Smoot. 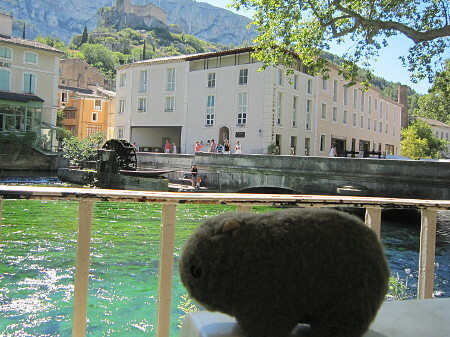 Near Cecilia’s family’s place in the Haute Savoie. 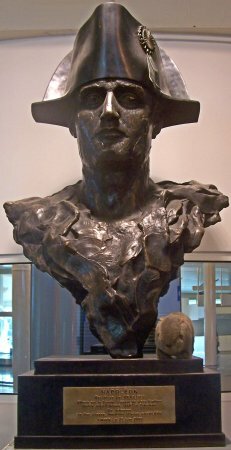 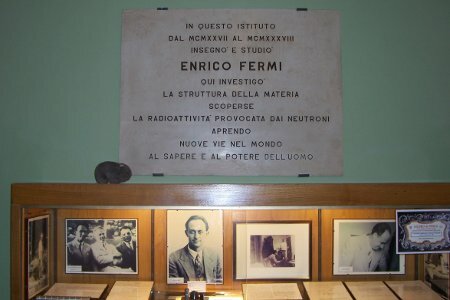 The Enrico Fermi shrine in the physics department at the La Sapienza University in Rome. 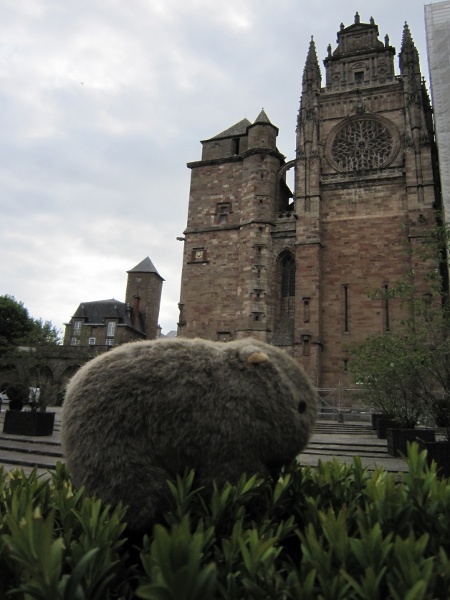 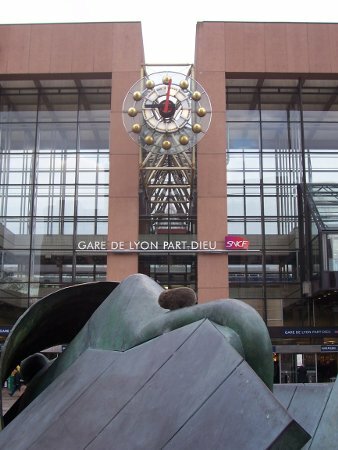 Womby in front of the train station in Lyon, France. 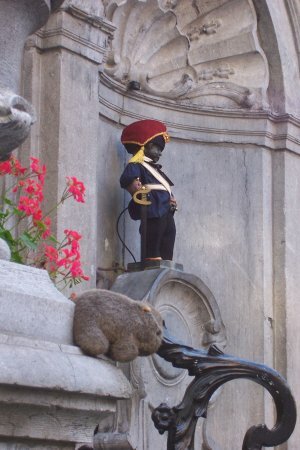 Womby with the Mannekin Pis. 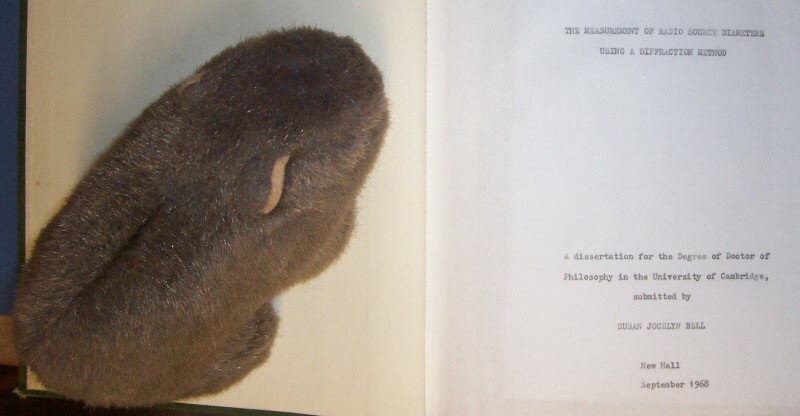 Womby in Cambridge with a copy of Jocelyne Bell’s thesis. 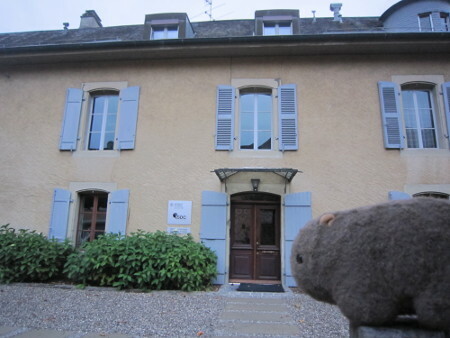 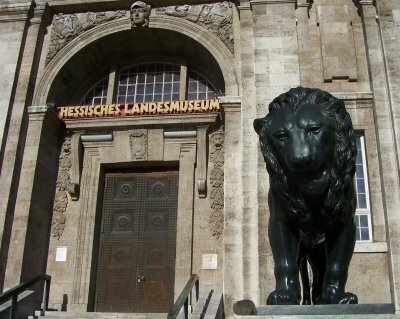 This is where the discovery of pulsars (what Fernando studies) was made. 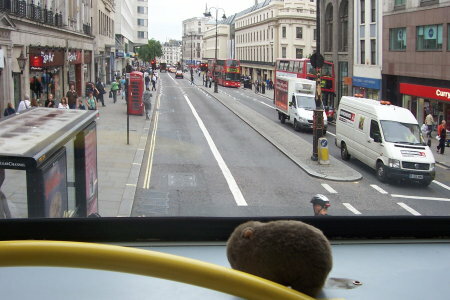 Womby on a double-decker bus in London. 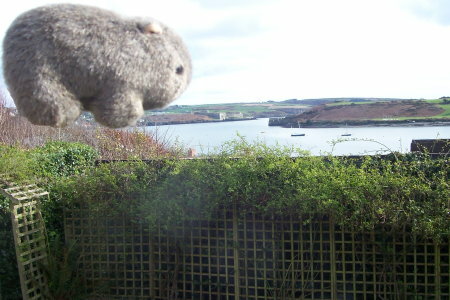 Womby in Kinsale, hovering like the ghost of the English over Fort George (left bank of the river) and Fort James (right). 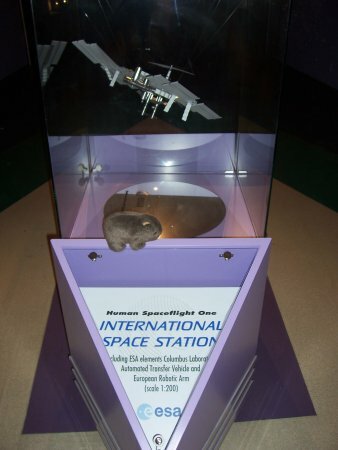 Posted on 2008-01-29 2015-09-15 Categories The WombatLeave a comment on Eve! 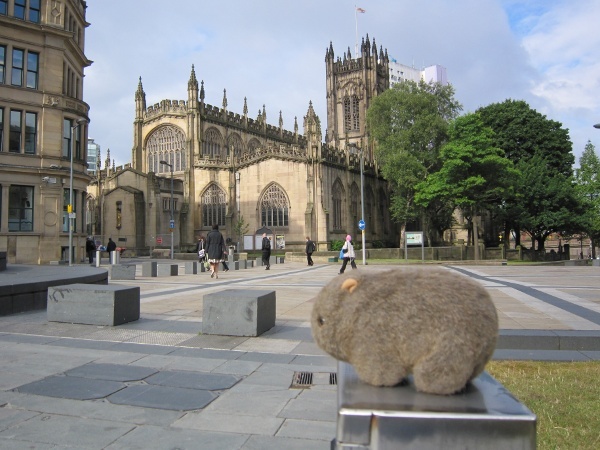 Posted on 2008-01-27 2015-09-15 Categories The WombatLeave a comment on Spen! 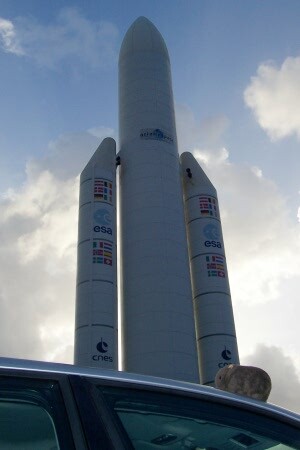 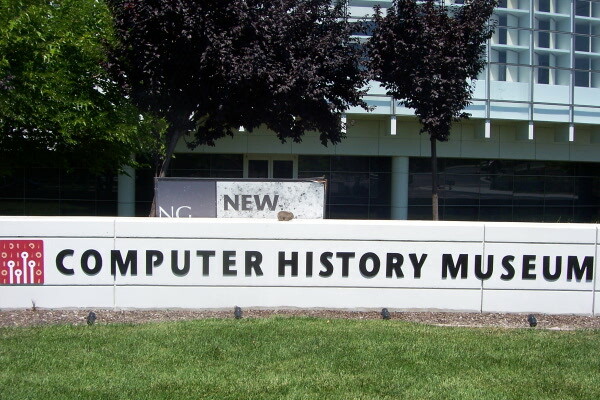 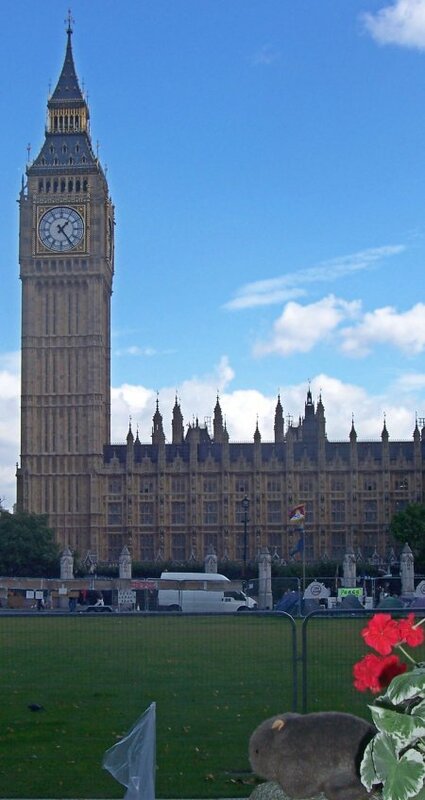 Site of another European Space Agency installation. 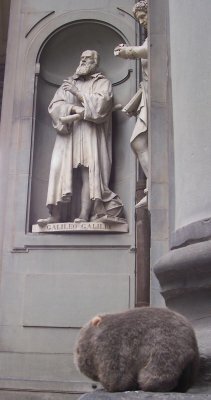 With a statue of Galileo. 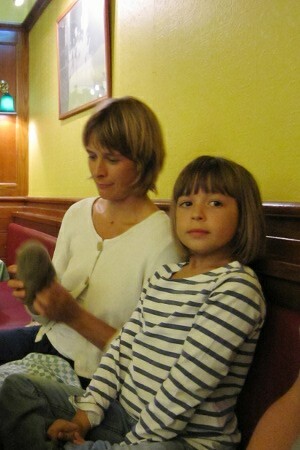 Gabriela and Mafalda in their old apartment near Lisbon. 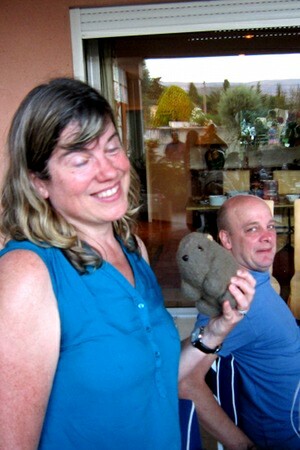 Posted on 2007-06-23 2015-09-15 Categories The WombatLeave a comment on Marc & Stephanie! Posted on 2007-06-23 2015-09-15 Categories The WombatLeave a comment on Mark! 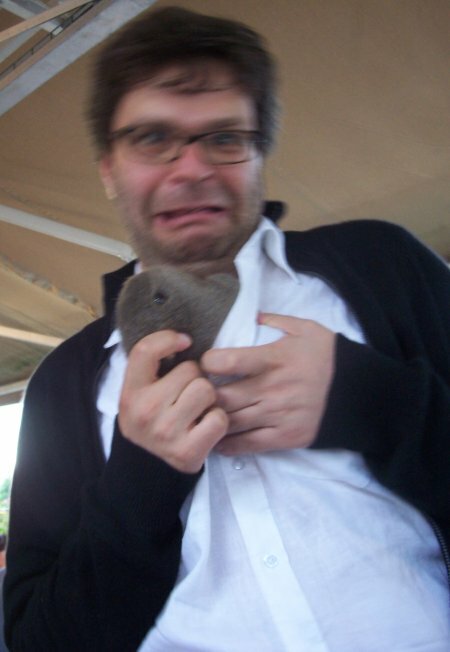 Posted on 2007-06-23 2015-09-15 Categories The WombatLeave a comment on Michael! 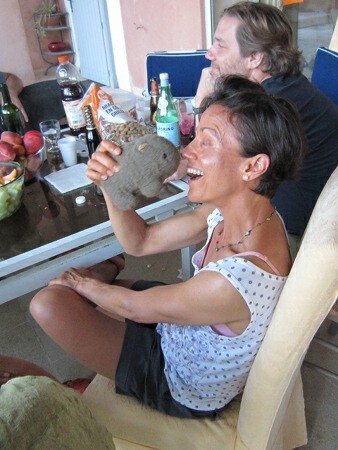 Womby with Uli in Paris at David and Isabel’s wedding. 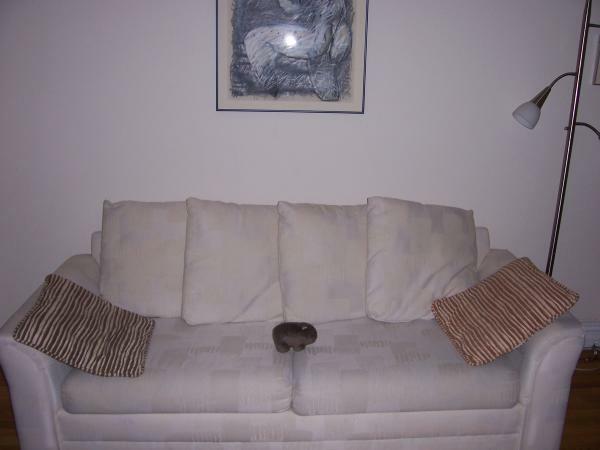 Posted on 2007-06-23 2015-09-15 Categories The WombatLeave a comment on Julie! 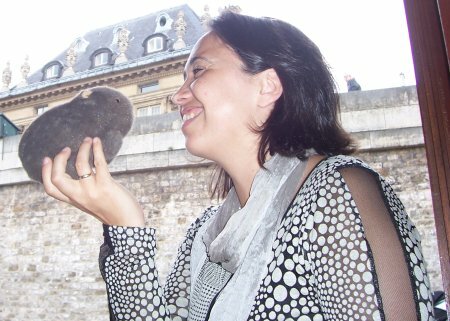 Womby with Gabriela in Paris at David and Isabel’s wedding. Posted on 2007-06-23 2015-09-15 Categories The WombatLeave a comment on Graby! 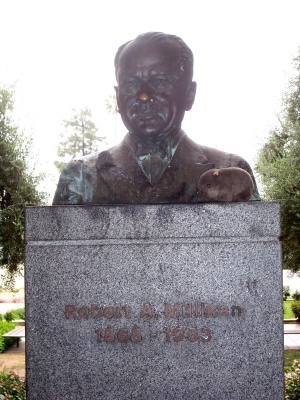 Womby with the statue of Millikan at Caltech. 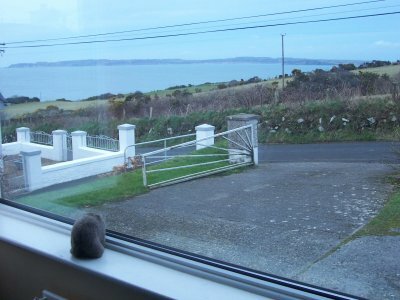 Womby looking over Raithlin Island from Ballycastle, Northern Ireland. 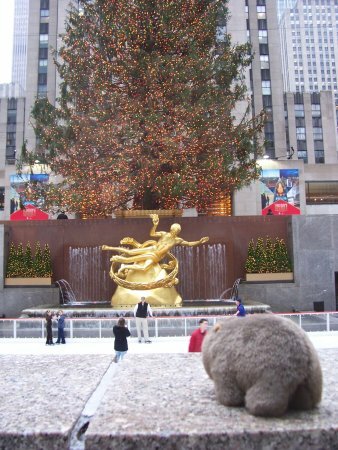 Womby at the Rockefeller Center in New York. 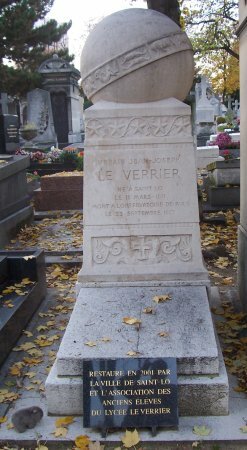 Womby paying his respects at the grave of Urbain Le Verrier, the discoverer of Neptune, at his grave at the Cemetery Montparnasse, in Paris. 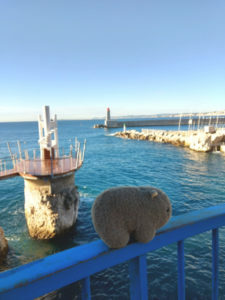 Womby at the Ajaccio airport in Corsica. 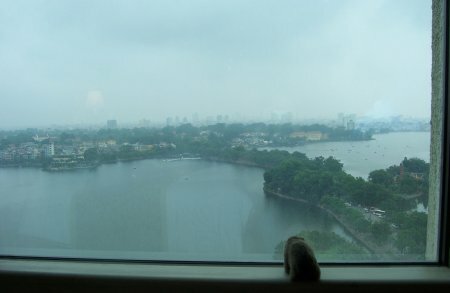 Womby looking out over Hanoi from his hotel room. 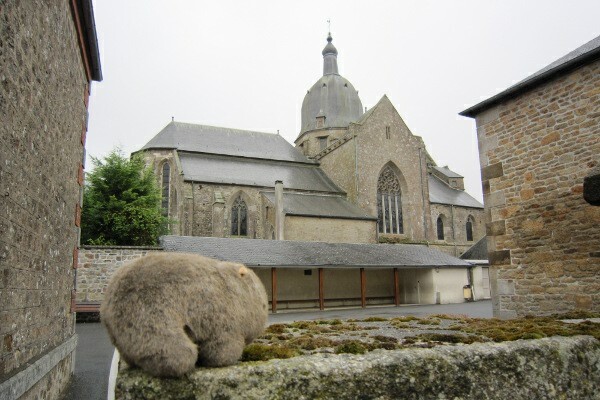 Posted on 2006-06-27 2015-09-15 Categories The WombatLeave a comment on Faith! 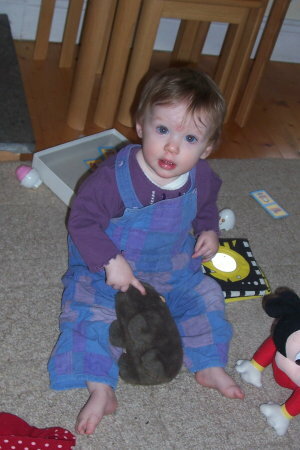 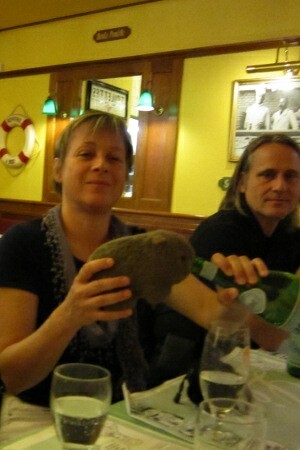 Womby with Karin. 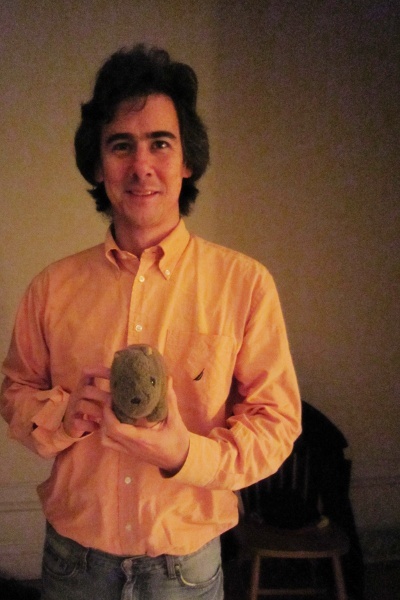 Taken at Ken’s apartment in Paris. 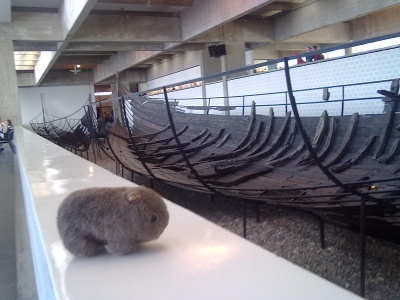 Posted on 2006-06-04 2015-09-15 Categories The WombatLeave a comment on Karin! 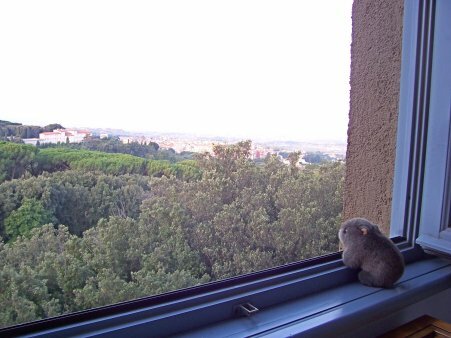 Taken from a house we rented for a week near Lido de Noto. 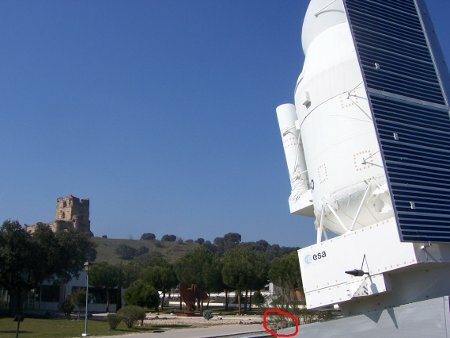 Note that the tiny building in the upper right side is the entrance to the Eloro site. 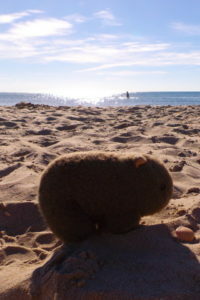 See http://www.siracusa-sicilia.it/english/eloro.htm. 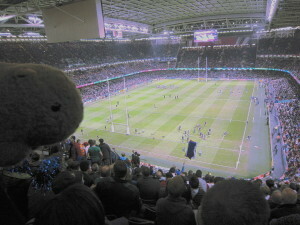 Womby with Conor. 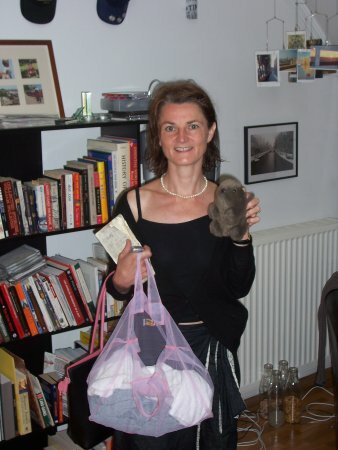 Taken at Ken’s apartment in Paris. 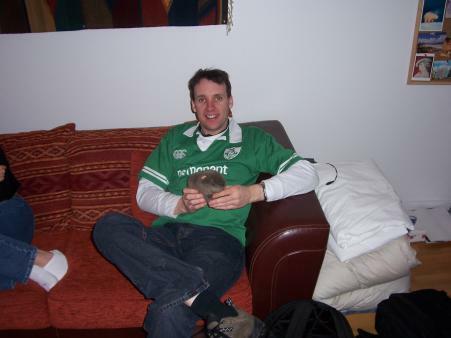 Posted on 2006-02-15 2015-09-15 Categories The WombatLeave a comment on Conor! 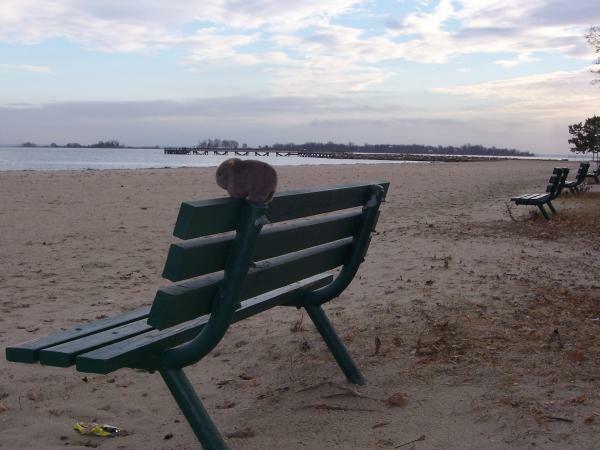 At the beach in East Norwalk, Connecticut, USA. 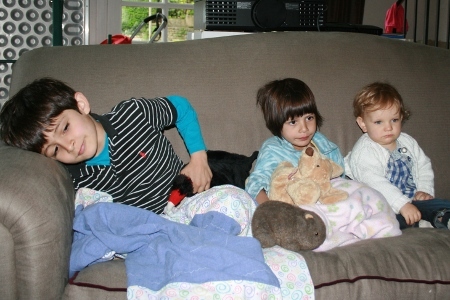 Taken at Fern’s apartment in New York. 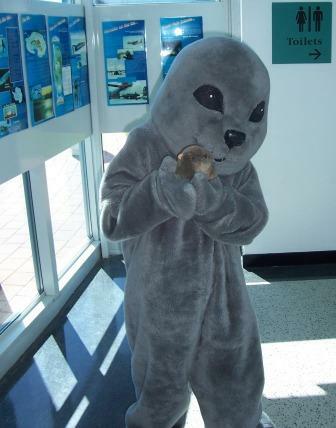 Taken at the South Pole. 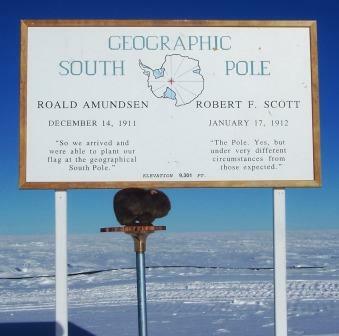 The marker Womby is standing on is the USGS estimation of the Geographic South Pole on January 1, 2005 (it moves slightly each year). 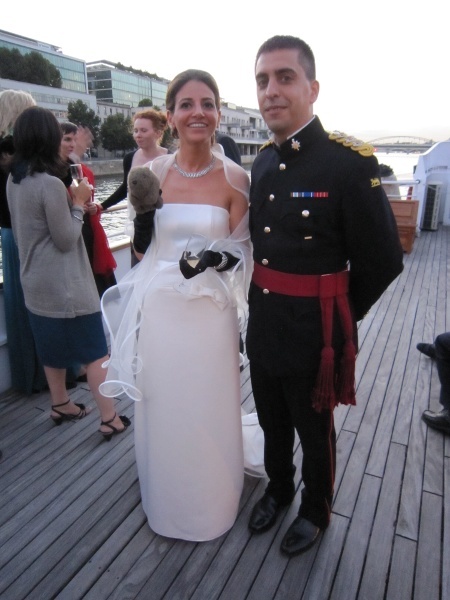 With the groom at the wedding of Sandor and Jenssen. 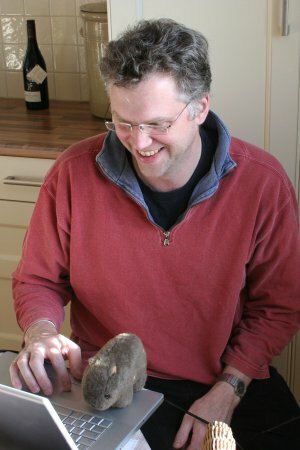 With Steffen. 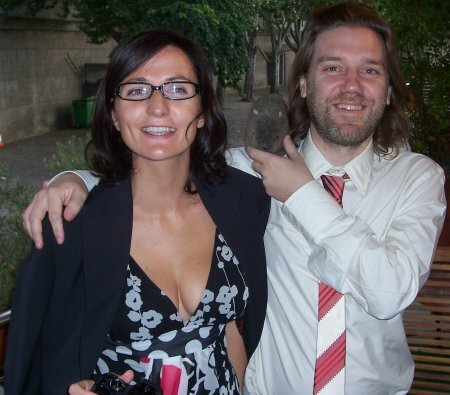 Taken at Sandor and Jenssen’s wedding. With Maarten. 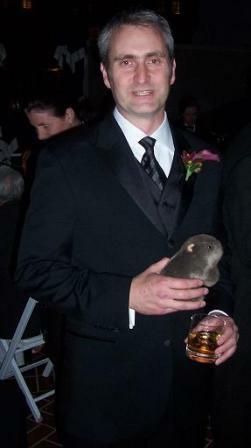 Taken on the way to Sandor and Jenssen’s wedding. 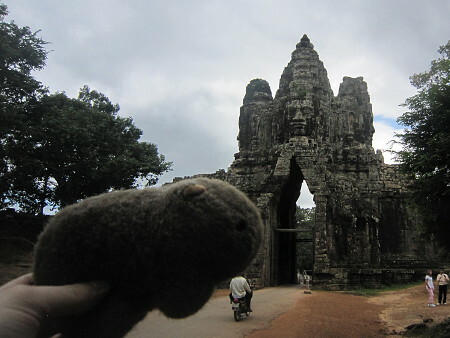 This is the first Womby picture ever taken! 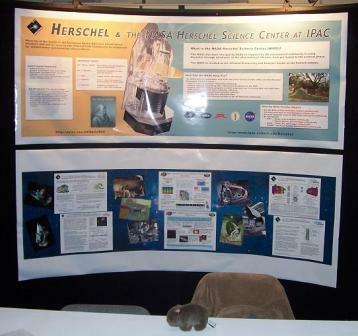 At the AAS meeting in San Diego, in front of the NASA Herschel Science Center booth, while I was still at IPAC. 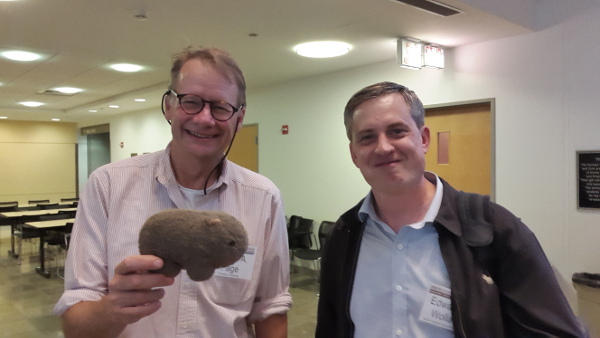 This is Steve Torchinsky, who, it turns out, not only was at the AAS meeting, but both knows Fernando, and now lives in France!